Californians can heave a sigh of relief for the moment; the Assembly did not pass the latest bill preventing cities and municipalities from filing for bankruptcy. But don’t think that this bill is dead and buried. AB 1692 by by Assemblyman Bob Wieckowski, D-Fremont, would revise the recently enacted language in AB 506, relating to the neutral evaluation process for local public entities. What this means is that the Assemblyman who pushed, cajoled, promised, and made deals last year to get AB 506 passed, this year has been trying to renege on those promises and deals. AB 506, also by Wieckowski, was passed last year and signed into law by Gov. Jerry Brown. 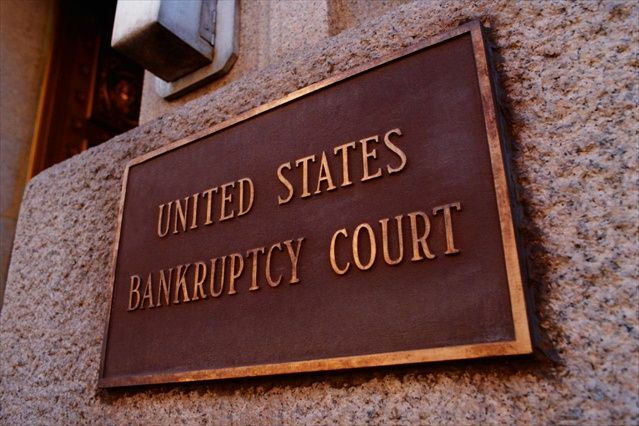 The bill made it more difficult for municipalities to file bankruptcy, by requiring negotiations with creditors before a bankruptcy can be filed. When AB 506 was only four months into law, Wieckowski started pushing a new bankruptcy bill, AB 1692. Wieckowski has said that AB 1692 was a “cleanup bill” for AB 506. The new bill would prevent cities from filing for bankruptcy protection without first participating in a lengthy mediation process. But Assembly colleagues were furious after Wieckowski said at a recent hearing that because he made so many concessions on the original bill just to get it passed and signed into law, he created AB 1692 to rectify and retract those concessions. Under AB 506, local governments are now required to use a “neutral evaluator” for a minimum of 60 days before seeking full bankruptcy protection. This new mediation process can only be avoided if a municipality declares a financial emergency and heads straight for federal bankruptcy court. The City of Stockton and the Town of Mammoth Lakes are currently in the middle of the pre-bankruptcy phase of the newly-created neutral evaluation process enacted by AB 506. Behind Wieckowski supporting AB 1692 are the California Professional Fire Fighters, the California Labor Federation, the Teamsters, the United Association of Plumbers and Pipefitters, the Sheet Metal Workers’ International Association, and many other labor unions obviously concerned about losing their rich union contracts. The League of California Cities formally opposed early versions of AB 506 “because it created obstacles to municipal bankruptcy, and resulted in a process stacked against local agencies.” The League said it now is opposed to AB 1692 for the same reasons. Wieckowski agreed to the League’s amendments in September 2011. AB 1692 appears to revert back to some of the earlier 11 versions of AB 506, before the many amendments were agreed to. But early versions of Wieckowski’s bill had vehement opposition last year. AB 1692 would remove provisions of AB 506 related to the mediation process, including giving the “neutral evaluator” independent decision-making authority. AB 1692 would allow other interested parties to create delays by allowing the process to continue without agreement by the public entity. For the moment AB 1692 is stuck in the Assembly; it failed on a 31-28 vote this week. But with the powerful labor unions behind it, don’t expect Wieckowski’s bill to go away. Bankruptcy is Kalifornia’s only hope. The unions will never agree to renegotiate those insanely good deals they got. And not just at the state level. There are dozens of cites and counties and school districts who have no other option. Maybe not right now, but in a couple years there will be no other choice. San Jose has admitted that in a couple years they will have to go to a volunteer fire department with the police not far behind. The public unions better get on board now or face everybody losing there jobs. You gotta LOVE this Gov– we finally got a no bs tough guuy in there! And as soon as the election is over he’ll lift it. But people like you are easy to fool. Besides, 5% is nothing. It should be a MINIMUM 15% or we should just go to a part-time state legislature like in Texas. Oh my gosh Beezy– I think he’s a great Gov.–couldn’t disagree more with ya on this one old buddy.